Picture disc issue of TOPIC 010. 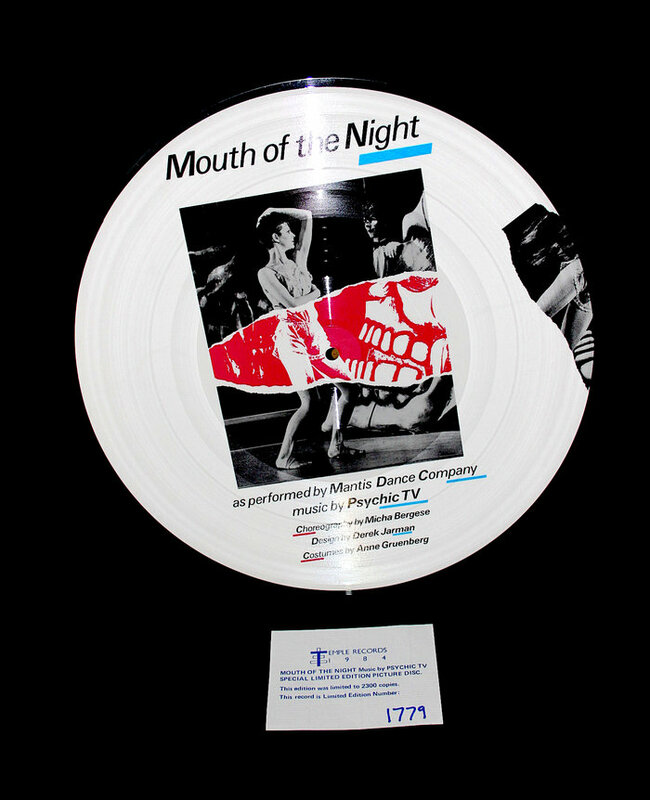 The music for "Mouth of the Night" was composed, produced and recorded by Psychic TV during February 1985. It was commissioned by Micha Bergese of MANTIS Dance Group to compliment and enhance their latest ballet. Recorded over 4 days in January 1985 at Paradise Studios, Chiswick, London.